On this date in 1900 Jonathan Luther “Casey” Jones (March 14, 1863 – April 30, 1900) died trying to avert a disaster with his passenger train, the Cannonball Express, and almost instantly became a folk hero. Jones was from Jackson, Tennessee, and worked for the Illinois Central Railroad (IC). As a boy, he lived near Cayce, Kentucky, where he acquired the nickname of “Cayce”, which he chose to spell as “Casey”. Jones married Mary Joanna (“Janie”) Brady (born 1866), whose father owned the boarding house where Jones was staying at the time. Since she was Catholic, he decided to convert and was baptized on November 11, 1886 at St. Bridget’s Catholic Church in Whistler, Alabama, to please her. They were married at St. Mary’s Catholic Church in Jackson on November 25, 1886. They bought a house at 211 West Chester Street in Jackson, where they raised their three children. By all accounts he was a devoted family man and teetotaler. Jones went to work for the Mobile & Ohio Railroad, performed well and was promoted to brakeman on the Columbus, Kentucky to Jackson, Tennessee route, and then to fireman on the Jackson, Tennessee to Mobile, Alabama route. In summer 1887 a yellow fever epidemic struck many train crews on the neighboring Illinois Central Railroad (IC), providing an unexpected opportunity for faster promotion of firemen on that line. On March 1, 1888, Jones switched to IC, firing a freight locomotive between Jackson, Tennessee and Water Valley, Mississippi. 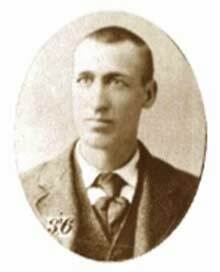 He was promoted to engineer, his lifelong goal, on February 23, 1891. Jones reached the pinnacle of the railroad profession as a crack locomotive engineer for IC. Railroading was a talent, and Jones was recognized by his peers as one of the best engineers in the business. He was known for his insistence that he “get her there on the advertised” (time) and that he never “fall down”: arrive at his destination behind schedule. He was so punctual, it was said that people set their watches by him. His work in Jackson primarily involved freight service between Jackson and Water Valley, Mississippi. Both locations were busy and important stops for IC, and he developed close ties with them between 1890 and 1900. Jones was also famous for his peculiar skill with the train whistle. His whistle was made of six thin tubes bound together, the shortest being half the length of the longest. Its unique sound involved a long-drawn-out note that began softly, rose and then died away to a whisper, a sound that became his trademark. The sound of it was variously described as “a sort of whippoorwill call,” or “like the war cry of a Viking.” It was said that people living along the IC line between Jackson and Water Valley would turn over in their beds late at night upon hearing it and say “There goes Casey Jones” as he steamed by. During the World’s Columbian Exposition at Chicago, Illinois, in 1893, IC was charged with providing commuter service for the thousands of visitors to the fairground. A call was sent out for trainmen who wanted to work there. Jones answered it, spending a pleasant summer there with his wife. He shuttled many people from Van Buren Street to Jackson Park during the exposition. It was his first experience as an engineer in passenger service and he liked it. At the fair (also called The Chicago World’s Fair), he became acquainted with No. 638, a big new freight engine IC had on display as the latest and greatest technological advancement in trains. It had eight drive wheels and two pilot wheels, a 2-8-0 “Consolidation” type. At the closing of the fair, No. 638 was due to be sent to Water Valley for service in the Jackson District. Jones asked for permission to drive the engine back to Water Valley. His request was approved, and No. 638 ran its first 589 miles (948 km) with Jones at the throttle to Water Valley. Jones liked No. 638 and liked working in the Jackson District because his family was there. They had once moved to Water Valley, but returned to Jackson, which they felt was home. Jones drove the engine until he transferred to Memphis in February 1900. No. 638 stayed in Water Valley. That year he drove the engine that became most closely associated with him, for one time. That was Engine No. 382, known affectionately as “Ole 382.”, or “Cannonball”. It was a steam-driven Rogers 4-6-0 “Ten Wheeler” with six driving wheels, each approximately six feet (1.8 m) high. 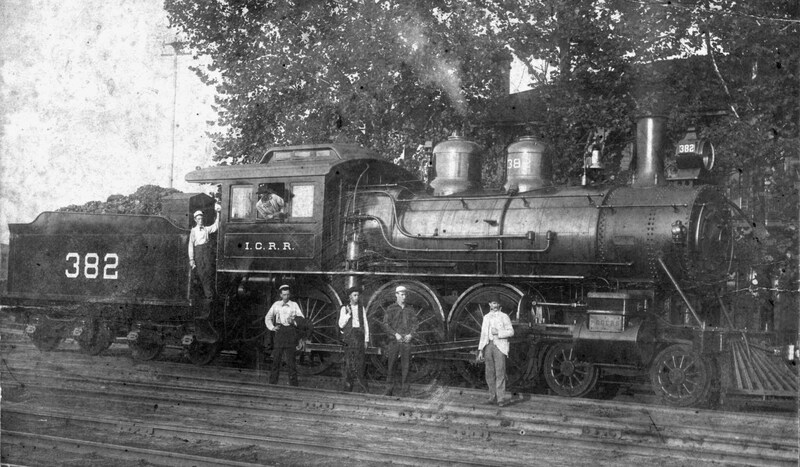 Bought new in 1898 from the Rogers Locomotive Works, it was a very powerful engine for the time. His regular fireman on No. 638 was his close friend, John Wesley McKinnie, with whom he worked exclusively from about 1897 until he went to the passenger run out of Memphis. There he worked with his next and last fireman, Simeon T. “Sim” Webb in 1900. Jones was issued nine citations for rules infractions in his career, with a total of 145 days suspended. But in the year prior to his death, Jones had not been cited for any rules infractions. Railroaders who worked with Jones liked him but admitted that he was a bit of a risk taker. Unofficially though, the penalties were far more severe for running behind than breaking the rules. He was by all accounts an ambitious engineer, eager to move up the seniority ranks and serve on the better-paying, more prestigious passenger trains. In February 1900 Jones was transferred from Jackson, Tennessee, to Memphis, Tennessee, for the passenger run between Memphis and Canton, Mississippi. This was one link of a four-train run between Chicago, Illinois, and New Orleans, Louisiana, the so-called “cannonball” passenger run. “Cannonball” was a contemporary term applied to fast mail and fast passenger trains of those days, but it was a generic term for speed service. This run offered the fastest schedules in the history of U.S. railroading. Some veteran engineers doubted the times could be met and some quit over the scheduling. 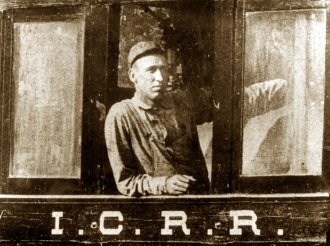 Engineer Willard W. “Bill” Hatfield had transferred from Memphis back to a run out of Water Valley, thus opening up trains No. 2 (north) and No. 3 (south) to another engineer. Jones had to move his family to Memphis and give up working with his close friend John Wesley McKinnie on No. 638, but he thought the change was worth it. Jones drove Hatfield’s Engine No. 384 until the night of his fateful last ride on Engine No. 382. 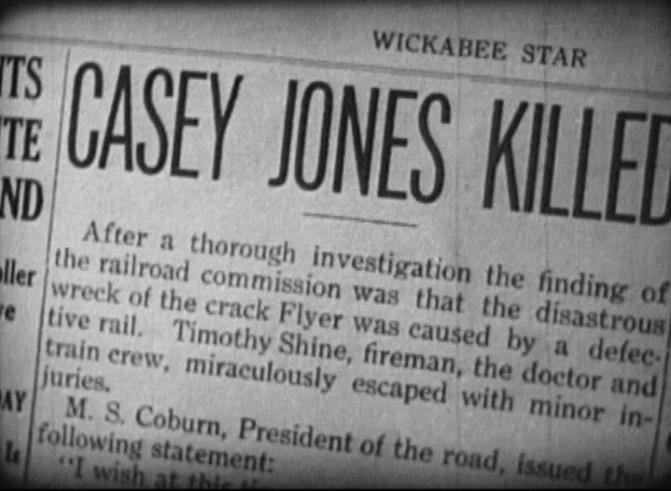 There is controversy over the circumstances prior to Casey Jones’ last, fatal run. In the account given in Railroad Avenue by Freeman H. Hubbard, which was based on an interview with fireman Sim Webb, he and Casey had been used overtime on trains 3 and 2 to cover for engineer Sam Tate who had marked off ill. They returned to Memphis at 6:25 on the morning of April 29, giving them adequate time to be rested for number 1 that night, which was their regular assigned run. The Fred J. Lee biography, Casey Jones, contended the men arrived in Memphis on No. 4 at 9 o’clock on the evening of April 29. They were asked to turn right around and take number 1 back to Canton to fill in for Sam Tate who had marked off. This would have given them little time to rest, as Number 1 was due out at 11:35 pm. In both of these accounts, Jones’ regular run were trains 1 and 4. In a third account, trains 3 and 2 were Casey and Sim Webb’s regular run, and they were asked to fill in for Sam Tate that night on No. 1, having arrived that morning on No. 2. In any event, they departed Memphis on the fatal run at 12:50 a.m., 75 minutes behind schedule, due to the late arrival of number 1. A fast engine, a good fireman (Simeon T. Webb) and a light train (they had six cars) were ideal for a record-setting run. Although it was raining, steam trains of that era operated best in damp conditions. The weather was quite foggy that night, reducing visibility, and the run was well known for its tricky curves. In the first section of the run, Jones drove from Memphis 100 miles (160 km) south to Grenada, Mississippi, with an intermediate water stop at Sardis, Mississippi (50 miles (80 km) into the run), over a new section of light and shaky rails at speeds up to 80 miles per hour (130 km/h). At Senatobia, Mississippi (40 miles (64 km) into the run), Jones passed through the scene of a prior fatal accident that occurred the previous November. Jones made his water stop at Sardis, and arrived at Grenada for more water, having made up 55 minutes of the 75-minute delay. At Durant, he received new orders to take to the siding at Goodman, Mississippi (eight miles (13 km) south of Durant, and 163 miles (262 km) into the run), wait for the No. 2 passenger train to pass, and then continue on to Vaughan. His orders also instructed him to meet passenger train No. 26 at Vaughan (15 miles (24 km) south of Goodman, and 178 miles (286 km) into the run). He was told that No. 26 was a local passenger train in two sections and would be in the siding, so he would have priority over it. Jones pulled out of Goodman, only five minutes behind schedule. Unknown to Jones, three separate trains were in the station at Vaughan: double-header freight train No. 83 (located to the north and headed south, which had been delayed due to having two drawbars pulled while at Vaughan), and long freight train No. 72 (located to the south and headed north) were both in the passing track to the east of the main line. As the combined length of the trains was ten cars longer than the length of the east passing track, some of the cars were stopped on the main line. The two sections of northbound local passenger train No. 26 had arrived from Canton earlier, and required a “saw by” for them to get to the “house track” west of the main line. The “saw by” maneuver required that No. 83 back up (on to the main line) to allow No. 72 to move northward and pull its overlapping cars off the main line and onto the east side track from the south switch, thus allowing the two sections of No. 26 to gain access to the west house track. The “saw by”, however, left the rear cars of No. 83 overlapping above the north switch and on the main line – right in Jones’s path. As workers prepared a second “saw by” to let Jones pass, an air hose broke on No. 72, locking its brakes and leaving the last four cars of No. 83 on the main line. Meanwhile, Jones was almost back on schedule, running at about 75 miles per hour (121 km/h) toward Vaughan, and traveling through a 1.5-mile (2.4 km) left-hand curve that blocked his view. Webb’s view from the left side of the train was better, and he was first to see the red lights of the caboose on the main line. “Oh my Lord, there’s something on the main line!” he yelled to Jones. Jones quickly yelled back “Jump Sim, jump!” to Webb, who crouched down and jumped from the train, about 300 feet (91 m) before impact, and knocked unconscious by his fall. The last thing Webb heard as he jumped was the long, piercing scream of the whistle as Jones warned anyone still in the freight train looming ahead. He was only two minutes behind schedule. Jones reversed the throttle and slammed the airbrakes into emergency stop, but “Ole 382” quickly ploughed through a wooden caboose, a car load of hay, another of corn, and half way through a car of timber before leaving the track. He had reduced his speed from about 75 miles per hour (121 km/h) to about 35 miles per hour (56 km/h) when he hit. 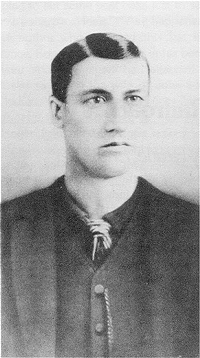 Because Jones stayed on board to slow the train, he was believed to have saved the passengers from serious injury and death. (Jones was the only fatality of the collision). His watch stopped at the time of impact: 3:52 am on April 30, 1900. Popular legend holds that when his body was pulled from the wreckage, his hands still clutched the whistle cord and brake. A stretcher was brought from the baggage car on No. 1, and crewmen of the other trains carried his body to the depot, a half-mile (0.80 km) away. Jones’ legend was quickly fueled by headlines such as, “DEAD UNDER HIS CAB: THE SAD END OF ENGINEER CASEY JONES,” The Commercial Appeal, Memphis, Tennessee; and “HEROIC ENGINEER – Sticks to his post at cost of life. 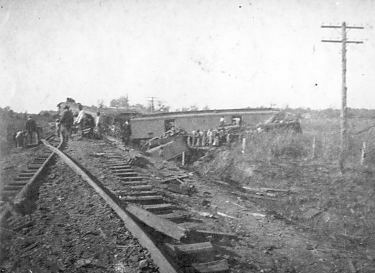 Railroad Wreck at Vaughan’s on Illinois Central Railroad – Terrible Fatality Prevented by Engineer’s Loyalty to Duty – A passenger’s Story,” The Times-Democrat, New Orleans. The passengers did not suffer, and there was no panic. I was jarred a little in my bunk, but when fairly awake the train was stopped and everything was still. Engineer Jones did a wonderful as well as a heroic piece of work, at the cost of his life. The marvel and mystery is how Engineer Jones stopped that train. The railroad men themselves wondered at it and of course the uninitiated could not do less. But stop it he did. In a way that showed his complete mastery of his engine, as well as his sublime heroism. I imagine that the Vaughan wreck will be talked about in roundhouses, lunchrooms and cabooses for the next six months, not alone on the Illinois Central, but many other roads in Mississippi and Louisiana. The next morning Jones’s body was transported on the long trip home to Jackson, Tennessee on passenger train No. 26. On the following day, the funeral service was held in St. Mary’s Church, where he and Janie Brady had married fourteen years before. He was buried in Mount Calvary Cemetery. Fifteen enginemen rode 118 miles (190 km) from Water Valley to pay their last respects, which was a record at the time. A conductor’s report filed five hours after the accident stated, “Engineer on No.1 failed to answer flagman who was out proper distance. It is supposed he did not see the flag.” This was the position the IC held in its official reports. The final IC accident report was released on July 13, 1900 by A.S. Sullivan, General Superintendent of IC It stated that “Engineer Jones was solely responsible having disregarded the signals given by Flagman Newberry.” John M. Newberry was the flagman on the southbound No. 83 that Jones hit. According to the report, he had gone out a distance of 3,000 feet (910 m), where he had placed warning torpedos on the rail. He continued north a further distance of 500 to 800 feet (150 to 240 m), where he stood and gave signals to Jones’ train No.1. Historians and the press had questions about the official findings. As a boy I knew about Casey Jones exclusively from the television series of the same name, one of a raft of U.S. shows broadcast on Australian networks in the 1950s and 60s, before the Australian television and film industry had established itself. The series actually had little to do with railroading and was not based on anything recorded of Jones’s life. But I enjoyed it. The theme song was an adaptation of a contemporary song, “The Ballad of Casey Jones,” that was in large part responsible for Jones’s heroic status and later recorded by, among others, Mississippi John Hurt, Pete Seeger, Furry Lewis, and Johnny Cash. Here’s a basic recipe in the general tradition of U.S. home cooking. 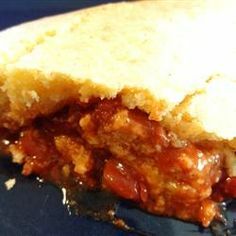 It’s essentially a beef stew covered with bread dough instead of a pie crust and baked. You can make your own dough, or buy it fresh or frozen. I tend to do the latter. I have no idea why it is called Casey Jones One Dish except that it might be considered an American classic. This is my own recipe adapted to my tastes. Sauté the bacon in a Dutch oven over medium heat until crisp. Use a slotted spoon to remove the bacon and break it into bits. Add the beef and onions and brown over medium high heat in the bacon fat remaining in the Dutch oven. Add the remaining ingredients, except the egg, half the bacon bits, and enough beef stock to moisten. Simmer for about 20 minutes so that the beef is cooked through and the sauce has reduced and thickened. Constantly check the seasonings during the cooking process. Make sure that your bread dough has properly risen. You can either roll it out to cover the beef filling like a pastry top, or divide it into sections to cover the filling as you would scalloped potatoes (that is, overlapping circles). Brush with beaten egg, and scatter the remaining bacon bits over the top. Bake in a preheated oven at 375°F for about 20 minutes, or until the bread is golden.